Investigators view the wreckage after a fiery collision of two big trucks and several smaller vehicles killed one person and injured several others while triggering a massive traffic jam on Interstate 5 just north of downtown Los Angeles Tuesday, April 25, 2017. The scene on Interstate 5 near Griffith Park last week Tuesday resembled a war zone: six crumpled cars scattered across lanes of traffic on both sides of the freeway, two pinned beneath other vehicles, the twisted wreckage of two burning big rigs and lines of gridlocked cars stretching for miles in either direction. Ten people were injured and one was killed when a heavy truck traveling northbound on I-5 near Griffith Park swerved out of its lane and smashed through the median barrier into oncoming traffic, colliding with a tanker truck heading southbound and exploding into flames. 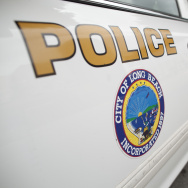 The California Highway Patrol is still investigating what caused the big rig to lose control. Did a car hit or cut off the truck before it careened through traffic, as some witnesses recounted? The fiery destruction of the I-5 crash is all too familiar for Corona resident Tami Friedrich Trakh. For months she would drive on the Interstate 10 in Claremont near the Indian Hill Boulevard exit and pass a crumpled metal guardrail and blackened stretch of road. Both served as haunting reminders of the night that changed her life. Tami Friedrich Trakh holds a photo of her sister, Kris Anne Mercurio, 36, her husband Alan, 41, daughter Brandie, 17, and son Anthony, 9. All were killed in a crash with a gasoline tanker truck on the 10 freeway in Claremont in 1989. Trakh has become an advocate for tighter truck safety laws. 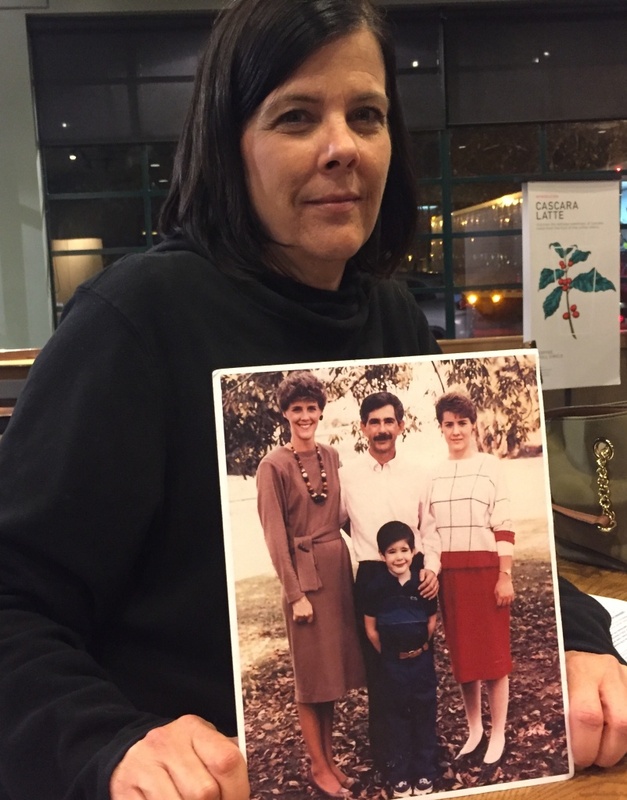 Two days after Christmas in 1989 on the I-10, Trakh's sister, Kris Ann Mercurio, brother-in-law, niece and nephew were returning from the Ontario airport following a family trip to Idaho. Trakh was driving a few miles behind. Up ahead, the brakes on a gasoline tanker truck failed and its wheels locked. The massive tanker skidded across the freeway, overturning its trailer and spinning around its cab so it faced oncoming traffic. "The lights were shining in her eyes," said Trakh. Her sister tried to swerve around the illuminated cab but her car couldn't avoid the darkened trailer. The car and tanker, full of 1,100 gallons of gasoline, exploded into flames. Mercurio and her family died. The tanker truck driver survived. In Southern California, tens of thousands of big commercial trucks — whether called tractor-trailers, tankers, semis or 18-wheelers — crawl and barrel along congested freeways every day. Crashes involving these vehicles, which can weigh as much as 40 tons, are the deadliest and costliest, and they are on the rise, creeping up faster than collisions involving only cars. Southern California is especially vulnerable to truck collisions because of its commerce: Los Angeles-Long Beach ranks as the busiest port complex in the nation and the warehouse business in the Inland Empire is thriving. Every day, heavy trucks accumulate more than 8 million miles on its labyrinth of regional freeways. The number of trucks on the roads has only increased as the economy has recovered, and after falling sharply during the recession, truck-involved crashes have been rising. They have also jumped as a share of all crashes on the road, according to a KPCC analysis of California Highway Patrol data. While the majority of fatal truck crashes occur at higher speeds on rural roads, the congested freeways of Southern California present their own dangers. The stopping distance required of the largest trucks — at 55 miles per hour, more than twice the length of a football field — is space that's hard to come by on crowded highways. The hazards are exacerbated at freeway interchanges, which tend to be hotspots for crashes in the region. Cars and trucks must jockey to change lanes, often in a short amount of space. KPCC found lane changes were the top-cited cause of truck crashes in Southern California over the period from 2002 to 2014. Within the five-county Southern California area covering Los Angeles, Orange, San Bernardino, Riverside and Ventura Counties, the 5 freeway saw the highest number of crashes between 2010 and 2014, followed by the 10 and 60 freeways. What makes truck collisions especially alarming is the heavy toll they can take. 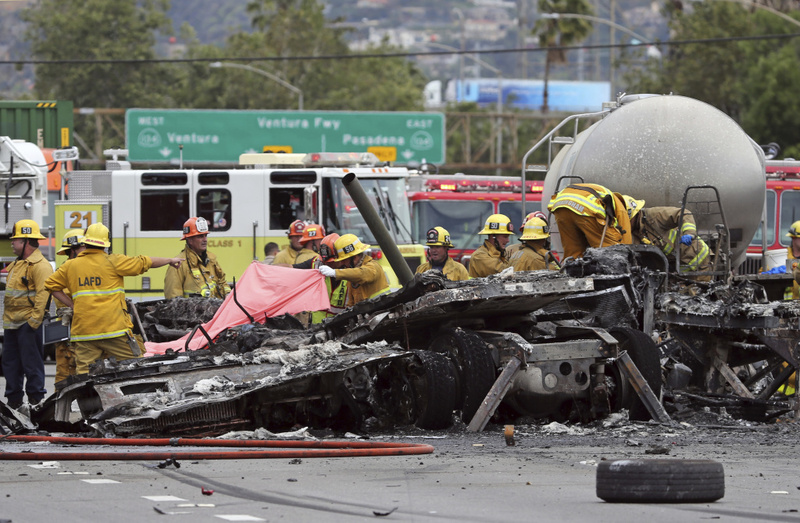 On July 13, 2013, a gasoline tanker truck traveling in a tunnel on the interchange between the 5 and 2 freeways in Elysian Valley near downtown L.A. crashed into the guard rail when its tire blew out. The tanker spilled more than 8,500 gallons of gasoline, igniting a fire that burned for hours and sending burning rivers of fuel down storm drains into the L.A. River. Flames shot up 40 feet into the air. The fire shut down parts of the 5 and 2 freeways for days and closed the interchange for six months while crews worked to repair the tunnel. With several inches of concrete burned down to the rebar on pylons that support the 5 freeway, the reconstruction cost $16.5 million. Truck collisions can cause infrastructure damage in the millions. 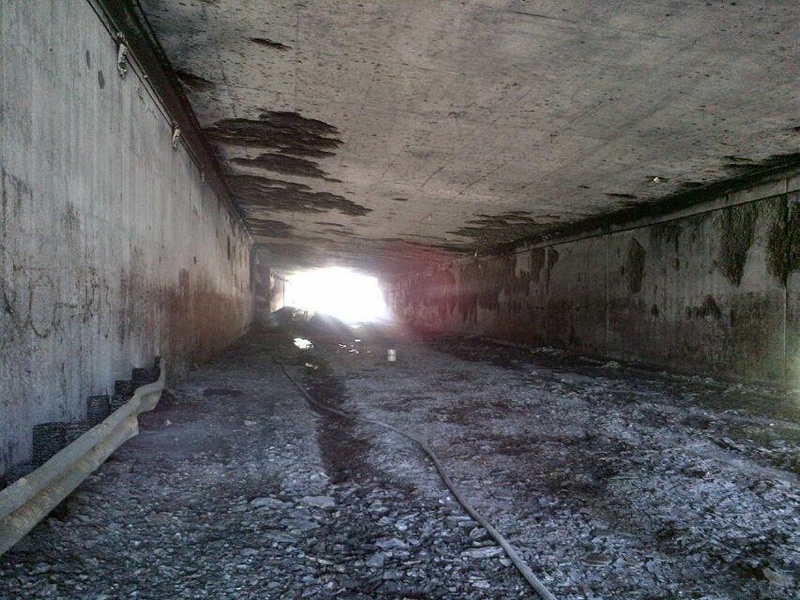 The tunnel at the 5 and 2 freeway interchange was heavily damaged after a tanker caught fire Saturday, July 13, 2013. Rebuilding following the crash cost $16.5 million. Truck-related collisions cost an average of $7 million for the most serious crashes involving the largest trucks, based on federal estimates of medical costs, emergency services, property damage and lost productivity. The average fatal car crash costs $1.4 million. Most critically, truck crashes can exact a high human toll. While the driver in the 2013 crash at the 5 and 2 freeway interchange survived and there were no other injuries, truck collisions are twice as likely to result in loss of life as crashes involving only cars. Truck crashes have a fatality rate of 1 percent compared to 0.5 percent for all vehicle crashes in general. Logically, the passengers of smaller vehicles are more at risk in these crashes. According to 2015 data from the Federal Motor Carrier Safety Administration, the most recent information on record, 97 percent of those killed in truck-car crashes that year were occupants of the passenger vehicle. On May 13, 2015, a driver of a semi-truck carrying a forklift blew a tire and lost control of the vehicle while driving southbound on the 57 freeway in Fullerton. The truck hit a car, burst through the center divider and sent both vehicles into oncoming traffic. The truck then collided head on with a second car, killing its driver. The forklift that the semi was carrying was thrown into the air and collided with three other cars. Seven people were sent to the hospital with injuries. Scroll over the chart to see share of truck collisions for each year. In congested urban areas such as Southern California, truck crashes can also cause excruciatingly long traffic delays. When trucks overturn, they can block multiple lanes and take hours to clear. Last week's I-5 crash held up traffic for eight hours. Fear of driving near large trucks looms large for Southern Californians, some of whom complained to KPCC in a survey that big rigs can often obstruct their view and make exiting the freeway difficult. Many sense that truck traffic has increased in areas where they drive. "It's not your imagination," said Genevieve Giuliano, a professor of urban planning and director of the METRANS Transportation Center at the University of Southern California, who has extensively studied truck traffic and crash risks. 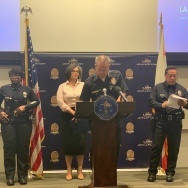 She said as Southern California emerged from the recession and gas prices have remained low, traffic congestion and crashes in general have increased across the region. Additionally, the ports have seen more trade, sending more trucks loaded with goods onto the highways. An analysis of federal data by the Brookings Institution shows truck traffic in urban areas has grown faster than passenger car traffic since 1990, and Giuliano projects that trend will continue over the next 20 years. But she said that doesn't have to mean the roads will inevitably grow more dangerous, so long as truck traffic is properly managed with strict industry regulation — like the measures Tami Trakh has advocated. Since the day of her sister's crash, Trakh has become active in efforts to improve truck safety. She serves as a board member for CRASH, Citizens for Reliable and Safe Highways, volunteers with the Truck Safety Coalition and is on the Motor Carrier Safety Advisory Committee for the Federal Motor Carrier Safety Administration. She pushes for policies that she hopes will prevent the types of crashes that devastated her family in 1989. Today, Trakh stays as far away from large trucks as possible. "You just have to give them good distance," she said. "I don’t usually drive the slow lanes of the freeway because of it." But on a recent weekday evening in congested rush hour traffic, they were hard to avoid. As Trakh and I traveled west along I-10, two massive trucks sandwiched our car between them. "I've seen trucks with retread tires on them, I've seen trucks with wheels almost falling off," said Trakh. "If it’s safe, I try to alert them. Or, if not, I call it in because another family’s gonna go through what my family went through if I don't try to do something." A multitude of factors can cause truck-involved collisions, such as those related to the driver performance, vehicle equipment and roadway design. The majority of crashes involve some kind of human error, either on the part of the truck driver, the driver of the passenger car or both. Unsafe speed, by either driver, is the top-cited cause of crashes where driver factors play a role. Distraction and fatigue are also common problems. Under the Obama administration, the federal government imposed stricter rules about the number of hours truck drivers are allowed to work, and the rest time required before they return to the road. Beginning this December, commercial trucks will be required to adopt digital logs so that the recording of those hours can't be tampered with. The goal is to prevent drivers from becoming overtired or falling asleep while driving. Such regulations, however, are in the cross-hairs of some in Washington. In late 2016, Republicans in Congress struck a requirement that drivers take their rest period between 1 a.m. and 5 a.m. The rule, created during the Obama administration and which had not yet taken effect, proved deeply unpopular among truck drivers. They called it arbitrary, and said it could force them to take two full days off from driving if they didn't reach their destination by 1 a.m., or force them to pull over the truck in an unsafe location. The Department of Transportation Office of Inspector General also concluded, based on a DOT study, that the nighttime rest periods failed to result in a net benefit for driver safety and health. Many safety advocates are wary of the new political climate under President Donald Trump and the potential for the Republican controlled government to roll back more regulations on an industry that has donated heavily to its members. According to the Center for Responsive Politics, donations to national campaigns from organizations and political action committees associated with the trucking industry have totaled more than $40 million over the last 10 years, with more than 75 percent of that going to Republican candidates. Trucking-related companies spent more than $100 million on lobbying during the same period. "Truck safety issues should be nonpartisan," Trakh said. "It affects everyone and commonsense regulations should remain in place." Trakh and the organizations she works with would like to see more requirements for trucks, among them: the addition of side underride guards and stronger rear underride guards that can prevent passenger cars from sliding under trucks in a collision. Trakh also advocates for speed limiters to slow vehicles to safe levels and automatic emergency braking systems to prevent crashes. Trucking industry representatives, such as the national American Trucking Associations, have expressed support for some of those safety measures, like the speed limiters and auto-braking systems. But the trade group believes safety requirements should apply as well to passenger cars: they advocate a universal 65 mile per hour speed limit. They also argue such measures should benefit the public and the industry, while "imposing a minimal burden on commerce." Rudy Quiroz, an instructor at Dootson's School of Trucking in Arcadia, has been long-haul driving for more than two decades and wants to see efforts to improve safety on the roads include passenger vehicle drivers. 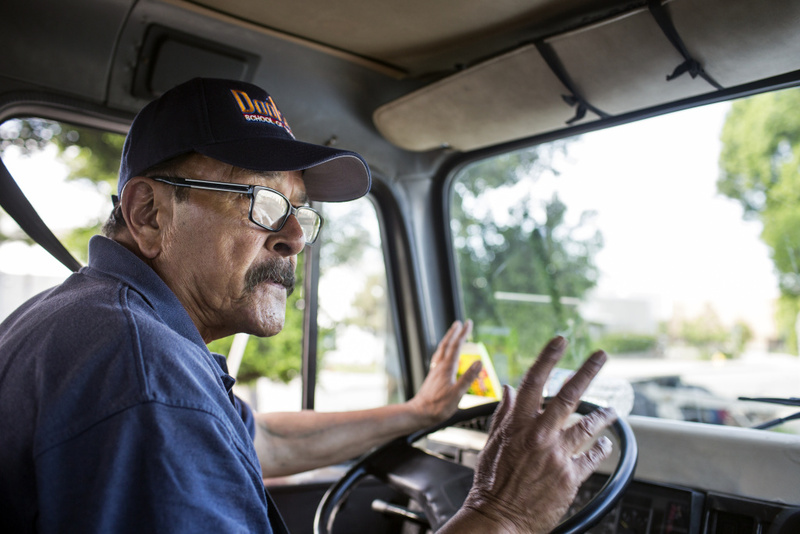 "Take a ride with a trucker and you'll see what's really happening," said Quiroz. 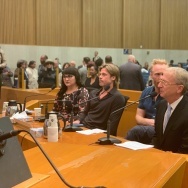 He said the focus on trucks and their drivers ignores an important fact: it's frequently the drivers of passenger vehicles, as he calls them "four-wheelers," who are at fault in these crashes. Rudy Quiroz is a supervising state-certified instructor at Dootson School of Trucking in El Monte. The family-owned school first opened in 1951. Research bears that out, including one study conducted by the University of Michigan Transportation Research Institute for the Federal Highway Administration. The two-year study of more than 8,000 fatal collisions found that truck drivers were at fault to some degree in about 27 percent of the crashes, while the passenger car drivers were found to have some fault in 81 percent of those collisions. Data from the Federal Motor Carrier Safety Administration for fatal truck crashes in 2015 shows truck drivers had some fault in about 33 percent of fatal crashes. 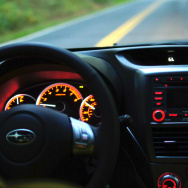 Drivers of passenger vehicles were at fault 59 percent of the time. "People need to realize that trucks are dangerous. You can’t be cutting them off, you can’t be braking in front of them because the results can be pretty bad," Quiroz said. 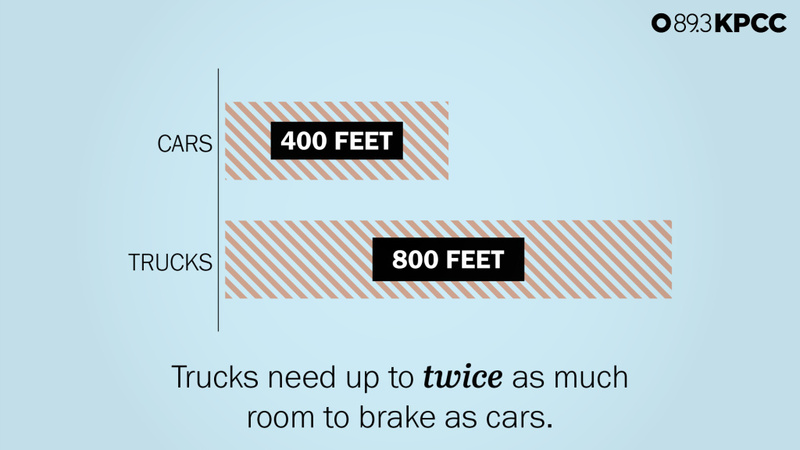 Heavy trucks need several car lengths' distance in front of them to stop. The California Driver Handbook warns: "The average passenger vehicle traveling at 55 mph can stop within 400 feet. However, a large truck traveling at the same speed can take almost 800 feet to stop." "They don’t understand that we’re not being nice keeping that space. 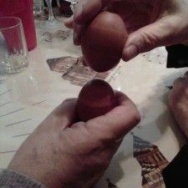 We need it so we don’t hurt anyone," Quiroz said. He would like to see more training required of all drivers to better understand how to drive around trucks. Quiroz takes the task of driving deadly seriously, knowing that just one mistake could end his career, or his life or that of others. He wants car drivers to feel the same. "Truck drivers drive. People who drive cars? Seems like they aim them, they don’t drive them," he said. "They're like weapons." 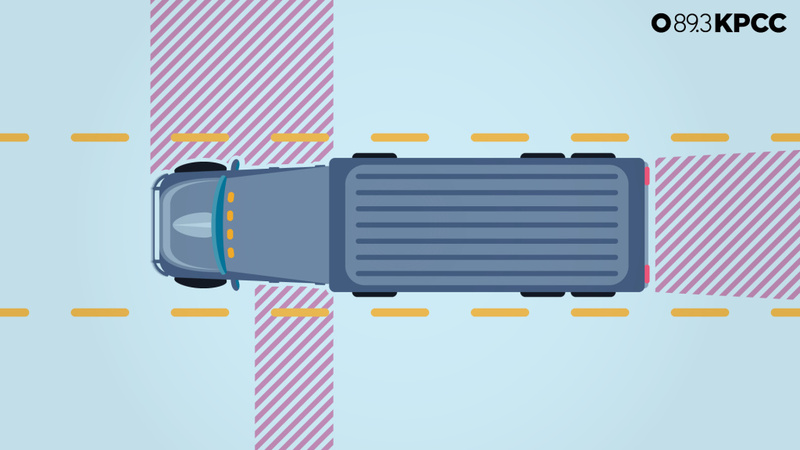 Trucks have more and bigger blind spots than passenger cars so if drivers don't move out of a blind spot quickly, a truck driver may think the space is clear when it's not. 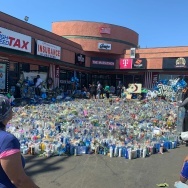 There may be no better illustration of the challenges facing SoCal drivers than the interchange of the 57 and 60 freeways in southeastern Los Angeles County. There, the geography forces 17 lanes to condense into 14 with half the distance to merge than is standard for freeways. The two miles of the confluence have been labeled the worst spot for truck traffic and crashes in California by the American Transportation Research Institute and the sixth worst in the nation. Local officials and the California Department of Transportation have been leading efforts to redesign the interchange and install improvements, but the project has only secured a fraction of the funds needed to complete construction, which is still about $200 million short. Republican Congressman Ed Royce, who serves the area, has been pushing for more federal funds to complete the project. But not every interchange can be redesigned. Both Giuliano and Trakh are optimistic that advances in automotive technology could make roads safer, although there are technical and regulatory issues still to be worked out. Meanwhile, Giuliano thinks assisted truck driving systems and driver monitoring technology could greatly improve safety on the roads, provided passenger vehicles adopt them at the same pace. Until such advances are widespread, all drivers should continue to give big rigs a wide berth, safety advocates advise. "I try to give them plenty of room and I respect their size, and their weight and the drivers themselves," said Trakh. Think you know how to safely drive around trucks? Take our KPCC quiz. Still have questions? "Ask A Trucker" — just submit your query below. We'll put them to our experts. Quiz: Do you know how to drive safely around large trucks? What are your questions for truck drivers?